We Supply Heaters for core shooter machines. We specialize in Heaters for Foundry section in Incoloy and SS material for better life. The surface temperature for mica and ceramic band heaters is about 120-150 degree and in case of aluminium casting heaters it is 90 degree ultimately led to cooler environment and save energy. Similar in construction to Ceramic Flexible Mat Heaters with additional ceramic fibre insulation encased in stainless steel mesh and protected by a stainless steel backing plate. We offer high quality range of Superheater Tube. It feature high mechanical strength, long service life, optimum performance. It is available in different designs, shapes and sizes to cater to the diverse requirements of esteemed clients. Our range is available at most reasonable prices. We have achieved a well-known position in the market by providing a wide range of Nichrome Heaters Elements. Our product is made employing the advanced techniques. » Available in 1000W, 1500W, 2000W & 2500W in Kanthal nichrome wire with extra ordinary packing. The high quality Paper Cup Machine Heaters offered by us are manufactured using high quality raw material and certified components. Advanced technology used in the manufacturing process helps us ensure heaters at par with international quality standards. Reckoned for optimum quality standards, these Heaters are widely utilized in various industrial sectors like Paper Cup Making Machines. Material: S.S 304, S.S 202 etc. Note- Buyers From Local Area Will be Preffered most. 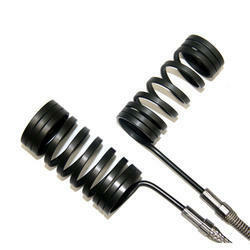 We are recognized as the leading entity of optimum quality Carbon Heater Element. 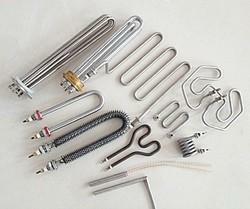 Most heating elements use nichrome 80/20 (80% nickel, 20% chromium) wire, ribbon, or strip. Nichrome 80/20 is an ideal material, because it has relatively high resistance and forms an adherent layer of chromium oxide when it is heated for the first time. Material beneath this layer will not oxidize, preventing the wire from breaking or burning out.